Water is a strange chemical. It’s molecular formula is H2O, but it is quite different from other chemicals that have a similar formula. For example, the chemicals H2S, H2Se, and H2Te are all gases at room temperature. However, H2O is a liquid at room temperature. Why? Because unlike similar molecules, water molecules are strongly attracted to one other. This causes them to stay unusually close to each other. While a small amount of energy allows similar molecules move far from one another, water molecules like to “snuggle close.” As a result, it takes a lot of energy to pull water molecules away from each other. This makes water a liquid at temperatures where most similar chemicals are gases. In addition, water has the unusual property of expanding when it freezes. Most chemicals shrink when they freeze, which means that the solid phase is more dense than the liquid phase. As a result, the solid form of most chemicals will sink in the liquid form of the same chemical. Not so for water. Instead, solid water (ice) easily floats in liquid water. It turns out that this is really wonderful, because when a lake freezes, the ice floats on top. As the ice layer gets thicker, it insulates the remaining liquid water below. The practical upshot is that as long as a lake is deep enough, it will never freeze completely solid. That’s nice, because it guarantees the lake’s fishes have somewhere to go, even in the coldest of weather. If water didn’t have such nice properties, life as we know it would not be possible. Exactly why does water have these properties? Because of a phenomenon called hydrogen bonding. In this process, a hydrogen atom on one water molecule is strongly attracted to the oxygen atom on another water molecule. As a result, the hydrogen atom on one water molecule and the oxygen atom on another water molecule tug on each other, pulling the molecules close to one another. In other words, a weak “bond” develops between two different water molecules. This hydrogen bond is very effective at keeping the water molecules close together. In fact, it is so effective that water molecules must actually pull away from each other a bit in order to form the structure necessary to make ice! While this is the explanation given in all relevant textbooks (including the ones I wrote), there has always been a bit of a mystery associated with it. Now, this mystery seems to have been resolved. First, let me tell you the mystery. Quantum mechanics says that no water molecule can have a precise position compared to another water molecule. As a result, hydrogen bonds shouldn’t be very stable. They should constantly change their lengths, moving the water molecules back and forth from one another so that there is no precise distance between them. According to quantum-mechanical calculations, this effect should be so strong that it would cancel out most of the long-term attraction of hydrogen bonding, causing water to lose most of its special properties. Well, since we know that water does have all its special properties, chemists have realized that there must be something wrong with our understanding of the quantum-mechanical details of hydrogen bonding. We just didn’t know what. Back in 2009, three theoretical chemists from Oxford proposed a solution to this mystery. They said that in the end, the bond lengths within the water molecules could change continually. This would make the molecules themselves “fuzzy” when it came to their position. As a result, the hydrogen bonds could hold relatively firmly and still obey the rules of quantum mechanics.1 While the mathematics and reasoning of the article were sound, the authors couldn’t cite any experimental evidence to support their claim. Well, now the experimental evidence has come in, and it looks like the authors were correct. A multinational team of chemists has recently done a series of very well-thought-out experiments that provide indirect experimental evidence for the Oxford team’s proposal. In the end, it looks like a water molecule’s bonds change length constantly so that the hydrogen bonds are not strongly affected by quantum uncertainties.2 This allows the effects of hydrogen bonding to be long term, which, in turn, allows life to exist on earth! 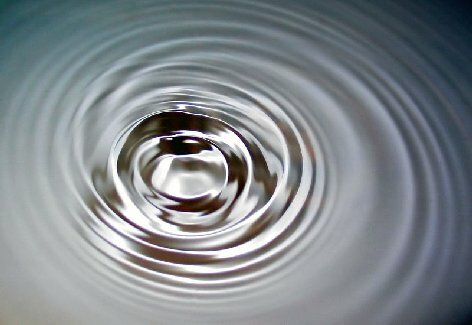 In other words, one of the many reasons life as we know it can exist is that there are two competing quantum-mechanical effects in water, and they work together so that water can have its life-giving properties! For me, this indicates two very important facts. First, the Creation that God gave us is fantastically complex. Even something as mundane as water is governed by such complicated interactions that we only now have a good idea as to why hydrogen bonding between water molecules works so well. Second, not only are the major characteristics of the universe finely-tuned so that life can exist, even the quantum forces in water have been finely-tuned so that life can exist. What an amazing design! 1. Scott Habershon, Thomas E. Markland, and David E. Manolopoulos, “Competing quantum effects in the dynamics of a flexible water model,” Journal of Chemical Physics 131:024501, 2009. 2. Anita Zeidler, et al., “Oxygen as a Site Specific Probe of the Structure of Water and Oxide Materials,” Physical Review Letters 107:145501, 2011. So, if the bond lengths are changing constantly, what about the bond angles? Are they staying constant or are they changing too? That wasn’t addressed in the paper, and it is harder to measure. The bond lengths could change without the bond angle changing, but that doesn’t necessarily mean the bond angle doesn’t change. This has been bothering me all afternoon (and is waaaaay more interesting to think about than PFOA quantitation with LC/MS/MS.) Hydrogen bonds should be weaker than the covalent bonds in water, so why exactly do the H-bonds “rule” so to speak? That’s an EXCELLENT question, Vivielle. You are quite right – hydrogen bonds are weaker than covalent bonds. Thus, you would think that hydrogen bonds would be “shakier” than covalent bonds and therefore more likely to be the ones that vary their distance. Indeed, that was one of the objections to the 2009 paper by Habershon, Markland, and Manolopoulos. While their explanation was consistent with quantum mechanics, it didn’t make sense that the covalent bonds would be the “shakier” bonds, as they are the more stable bonds. So the answer is that right now, we don’t know. Obviously the bond energies are not what determine which bonds are the most variable, since the data tell us that the stronger bonds are the ones that have the most variability. So there is obviously another factor that determines which bonds are fuzzy. That’s yet another mystery to solve, which is what makes science so interesting. Clearly this means it’s time for you to write new textbooks! Hehe, Black Sheep. I’m doing that right now!